Set includes 4 wheels, 4 reversible XD pro caps, 16 lug nuts and 4 tires. 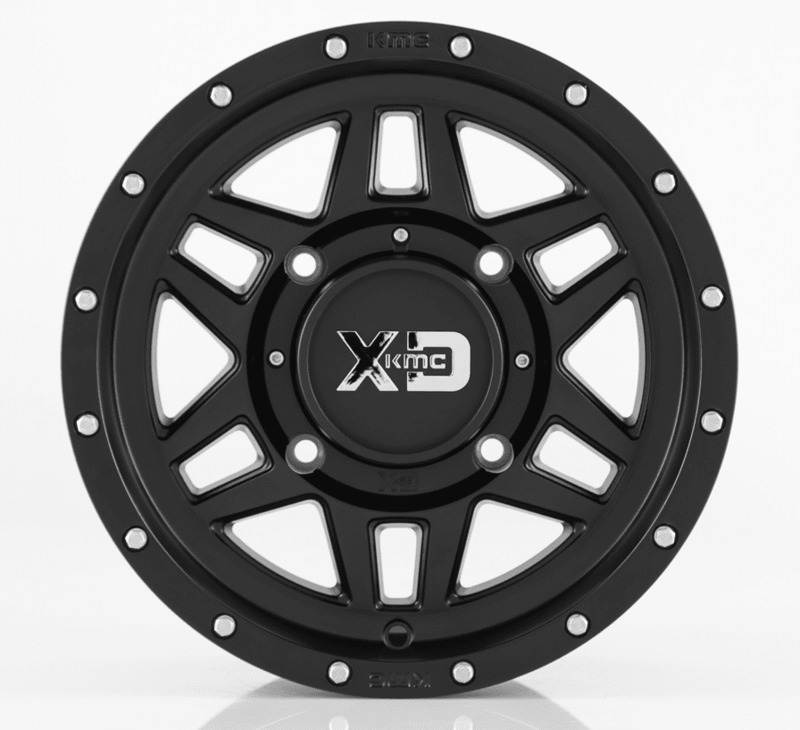 Designed for the extra duty of off-road racing and trail riding, the KMC XD XS128 Machete Wheel is lightweight and built to last! They come equipped with a lightweight cast aluminum design, keeping unneeded weight off your machine. 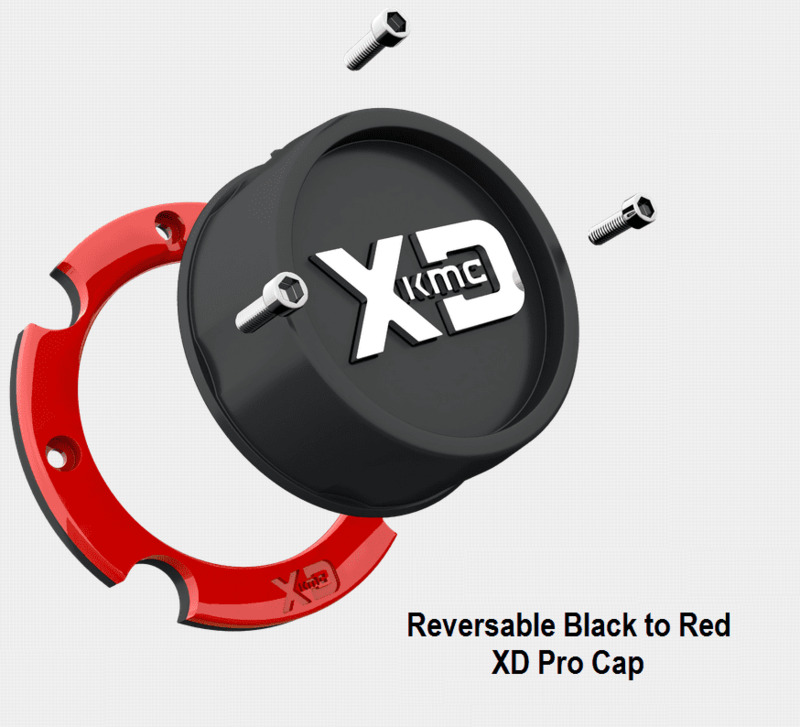 With their reversible black and red XD Pro Caps, you can choose to keep your side by side looking simple, or add a dab of color. KMC back�s their products durability with a lifetime warranty. 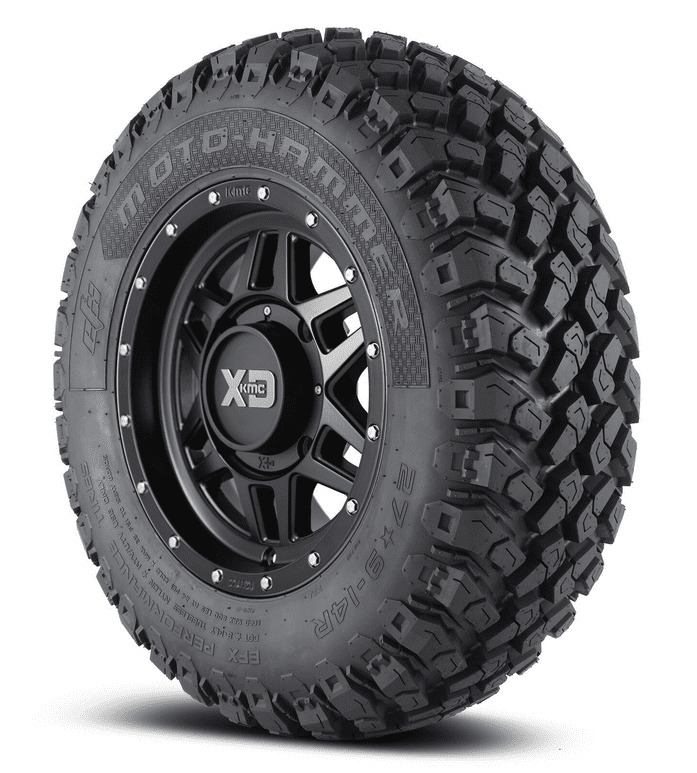 The EFX Motohammer Tires are the perfect all around tire to add to your UTV accessory list. 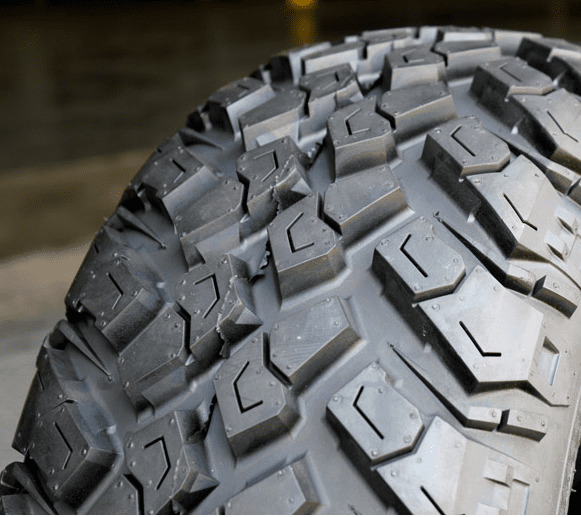 The 8 Ply Radial structure assures only the best reinforcement against any terrain. The .75 inch lugs allow for grip on any surface. 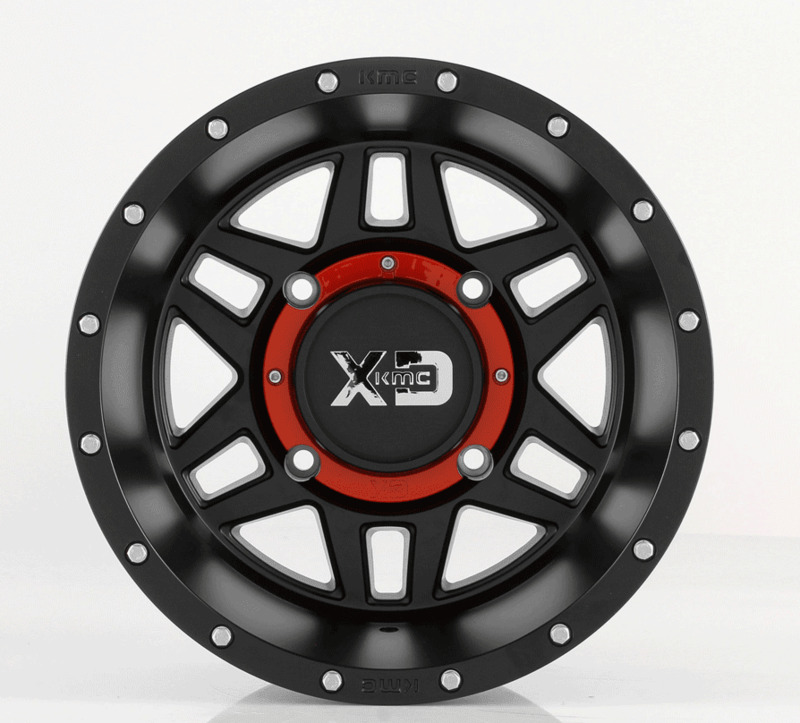 Heighten the looks of your side by side and go where others can�t when you pair these with the KMC Machete wheels. 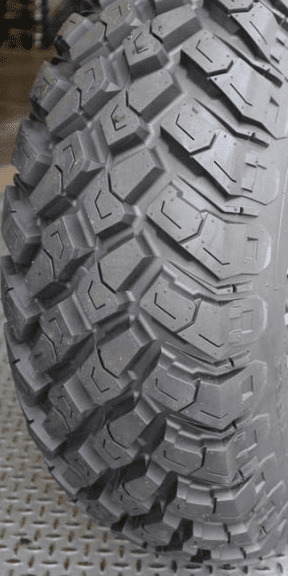 I live in the Pacific Northwest so I need a good all purpose all season tire. These have performed wonderfully in snow, mud, hard pack. They handle very well. Additionally they are legal for our streets because of the DOT rating. They ride so much better on the street than the stock set up. A major upgrade to same size tires on all four corners. A true "must do" upgrade to your General!